Home→American History→Immigration Talks in Congress? History Shows that Immigration Law is All About Keeping People Out. As part of last week’s budget bill compromise, Congress promised to discuss immigration legislation. If history is any guide, that’s nothing to celebrate. The history of immigration legislation in this country is all about keeping people out. A century ago Republicans proposed limited immigration from Southern and Eastern Europe — Italians, Jews, Russians, Poles, Serbs, Turks, and others from that region. The Red Scare of 1919-20 stoked xenophobic fears of foreign radicals undermining the status quo in America and preaching revolution. Bartolomeo Vanzetti, an Italian immigrant with radical beliefs, lived in North Plymouth until his arrest in 1920. The novel “Suosso’s Lane” tells his story. “Suosso’s Lane” revisits the history of Plymouth, Mass., at a time when immigrant factory workers struggled to make their way in an America of long hours and low wages. The book traces the circumstances that led to the notorious trial and widely protested executions of Nicola Sacco and Plymouth dweller Bartolomeo Vanzetti, targeted by local authorities for their radical beliefs and framed for a factory payroll robbery and the shooting deaths of two security guards. One in six Massachusetts residents is an immigrant. The Trump administration is targeting immigrants for mass deportations. 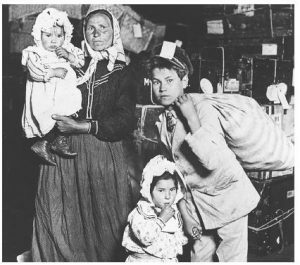 The last time the American government deported immigrants in large numbers was 1920 when Italian immigrants and others with unpopular opinions were targeted. That’s the background for my novel “Suosso’s Lane,” based on Plymouth, Mass. and the notorious Sacco and Vanzetti case.